So here I offer the top ways that could help make you the kind of commenter that bloggers LOVE to see. These are based on both things that I’ve done and that have worked for me and things that I’ve seen other commenters do on my blog that make me want to reply to them. Short and shallow comments (e.g. “Cool outfit!”) are THE worst. Instead, call attention to a particular point (or points) the blogger made and write about that. If you don’t like to write a lot, then at least be witty or highlight a little something that many before you may have overlooked. 2A. And if you can’t find ANY commonalities elsewhere, then go back to #1 and be genuine and thorough w/whatever you do come up with. Come up with a cool compliment and expand on it. Don’t be shallow. I get comments from people asking me to follow me all the time and I can’t tell you how much of a pet peeve this is. I can’t stand it! Now don’t me wrong: I’m not in any way famous, or a celebrity, or someone who’s “too good” to follow anyone else because I love discovering and following people. But I do take myself seriously, and I value who I follow, because I’m more about quality than quantity. I want to feel like I discovered someone, so I won’t follow you if you tell me to. So don’t ask the blogger to follow you! Be a wise reader–not a groupie..
ALSO: When you ask me or any other blogger to follow you, you sound like you’re begging. And nobody likes beggars. Ninety-nine percent of us ignore those who don’t contribute anything to this world, and if you aren’t bringing in anything interesting to the conversation that I worked hard to start, then you won’t get any reciprocation from me. YES: “OMG I love how you matched your nail polish to the bow on your shirt. In fashion, it’s the little things that count, huh? We worry so much about making such big, bold statements, when really, it’s the things we tend to overlook that get the most feedback. Much love from a long-time fan and keep it up! *Notice that this commenter’s one and only link** is in her signature. Always keep your link in your signature, as that’s part of your brand. If you put it in the body of your comment, then “annoying” becomes part of your brand. **And no, displaying only ONE link in your signature doesn’t mean that your online presence is made up of just one outlet. (Which it’d still be OK, anyways, so don’t worry.) Instead, it shows that you were nice enough to show me your door and give me the option to open it if I so desire. What should you do when a blogger whose site you’ve commented on a few times won’t reply to your comments? *** If you’re a no-reply blogger, post authors CAN’T reply to your comments because they can’t see your email address–i.e., they can’t see your blogger info. To check if you’re a non-reply blogger and fix it if you are, go to your Blogger profile >> Edit profile >> Privacy: Show my email address >> If UNCHECKED, you ARE a no-reply blogger. Simply uncheck it and you’ll have fixed this! 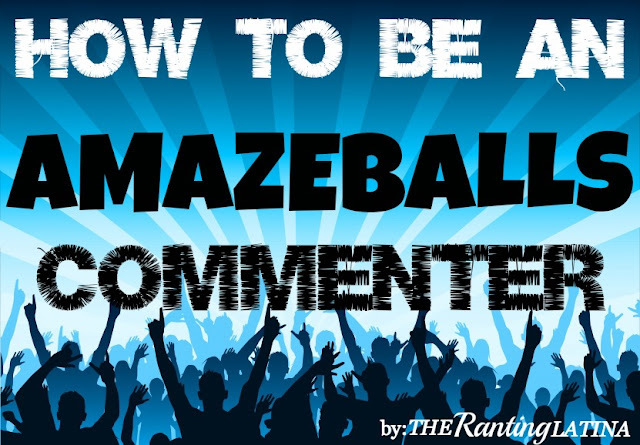 If you commenter #50+ (depending on the blogger), your comment might never get a reply. This is because you can assume that the busy blogger just got tired after #20. But didn’t you just say that bloggers have to reply to my comments? You might retort. Well yes, but this is different! Let me put it this way: You know how on FB you get (hopefully) a TON of comments on your wall for your BDay? Some ppl (me included) choose to reply to each comment individually. Now imagine having to do that four-five times a week! See, it can get exhausting! That’s why I recommend you be among the FIRST to comment. (Remember to also be genuine, thorough, etc.) That way, you can be more sure that you might get a reply if you want one. A blogger who wrote a post on a certain possibly controversial topic will likely not care that you, one of maybe a few of her readers who cared to comment, didn’t agree. So nicely and courteously bring up your questions or comments. As Guy Kawasaki’s put it, be nice or shut up. YES: “I see what you mean. This was an interesting post on Representative Smith and it certainly taught me a lot that I hadn’t considered before. However, I do remember that time when he created a bill to prohibit people in hospitals from eating sandwiches. So I hope you understand that I’m a bit hesitant about his newfound support for sandwiches in hospitals and why it seems fake. 7. Your comment has to RELATE! Again, this has to do w/almost ALL of the tips I included above and it’s perhaps the most important tip. However, making your comment relate isn’t enough. You must also, like I’ve said earlier, make it relevant and interesting. Don’t be a troll. Be genuine! YES: “What a cool outfit! I especially love how your bag matches your nail polish. I always try to make parts of my outfit match like that, but I’m sometimes concerned it could look matchy matchy, you know? So I try to keep my matching to a minimum. But your posts are always so inspirational and they give me wonderful ideas. You look very well put-together. Thanks and keep it up! Hope this guide helped you learn a thing or two about properly commenting on blogs, and that they will help you become a top commenter and get more replies. In sum, simply make sure to KEEP THE GOLDEN RULE IN MIND and KEEP THE CONVERSATION GOING with your comment! Again, feel free to leave a comment and/or contact me if you have any Qs, and hope you enjoyed this! May I practice with you? This post was exactly what i was looking for. Truth be told, I’ve always been scared of posting a comment. Not only I was afraid it was going to get lost on a sea of comments, but also i didn’t know what to write or how to do it without sounding pretentious. Your tips are simple yet helpful, and they helped me to not be afraid of commenting on the post i like. Actually, thanks to Pinterest this is the second post i found that has tips for bloggers on your site. I find them both really helpful and i hope i used them right in my blog. Orly, you aced it! This was a GREAT comment and I’m glad you’ve enjoyed my posts. I especially like the part about “getting lost in a sea of comments” because if you feel you’d be doing that, then feel free to NOT add your comment. Instead, maybe tweet them your opinion! Bloggers are very social and most enjoy getting in touch w/others via Twitter. That way, you’re more likely to get a reply or an RT, which would be awesome :D! You’re more than welcome! Now go forth and comment :D!